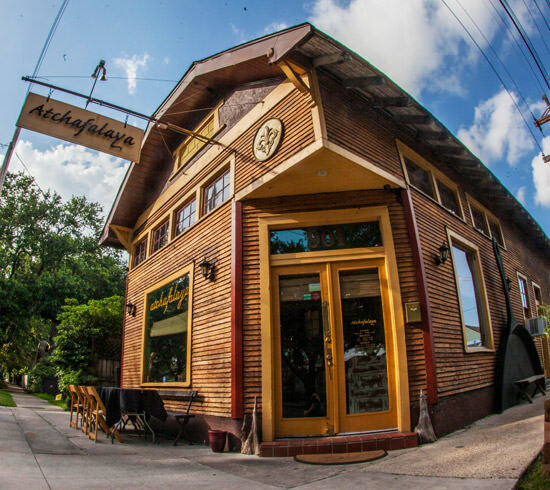 Atchafalaya Restaurant | New Orleans only five “A” restaurant. 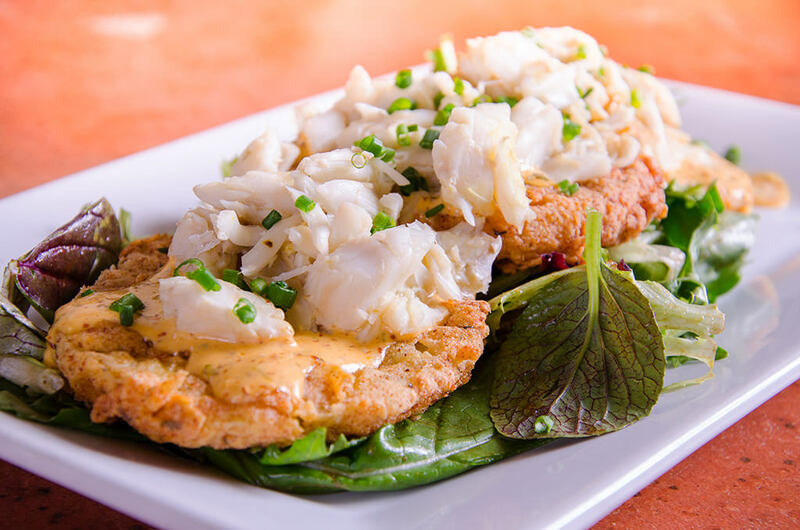 Rustic and elegant, folksy yet refined Atchafalaya Restaurant is set in a little creole cottage in the Irish Channel, a mostly residential neighborhood of New Orleans. All the components of a memory making meal are here in abundance– whether it’s our famous brunch or an evening’s stylish dinner you’ll find finely crafted cocktails, a smart wine list and most certainly stellar service. Come early, stay late or just drop in for quick cocktail in the bar. If it’s “dog’s night out” then bring ‘em along and grab a table outside. Part of our charm here at Atch is how easy comfort can still feel like a special occasion. In fact, we’re the type of place where it’s not unusual to see our guests twice in a day. We’re proud of that. You won’t leave Atchafalaya just a glad and happy guest, you’ll leave a friend to New Orleans only five “A” restaurant. Dinner service features a dimly lit warm interior with glistening stemware on crisp white linens. At night the staff has a little more swagger to their serve and our Sommelier is on hand to pour out his latest finds. Dinner is typically a multi course affair and a bit more premium in both ingredient and style. Come early for a provocative cocktail in the lounge as your party gathers or journey forth into one of our two dining rooms or the semi-private “poker room”. throughout the year we stage special wine dinners and other special events so please check back with us for periodical updates. Reservations are never a bad idea, especially when communicating special requests or dietary information. Brunch is a pretty big deal around here. In fact Fodor’s Travel Guide named us “one of Americas top ten urban brunch spots in America” in 2015. That’s nice. Our Moms say the same thing. 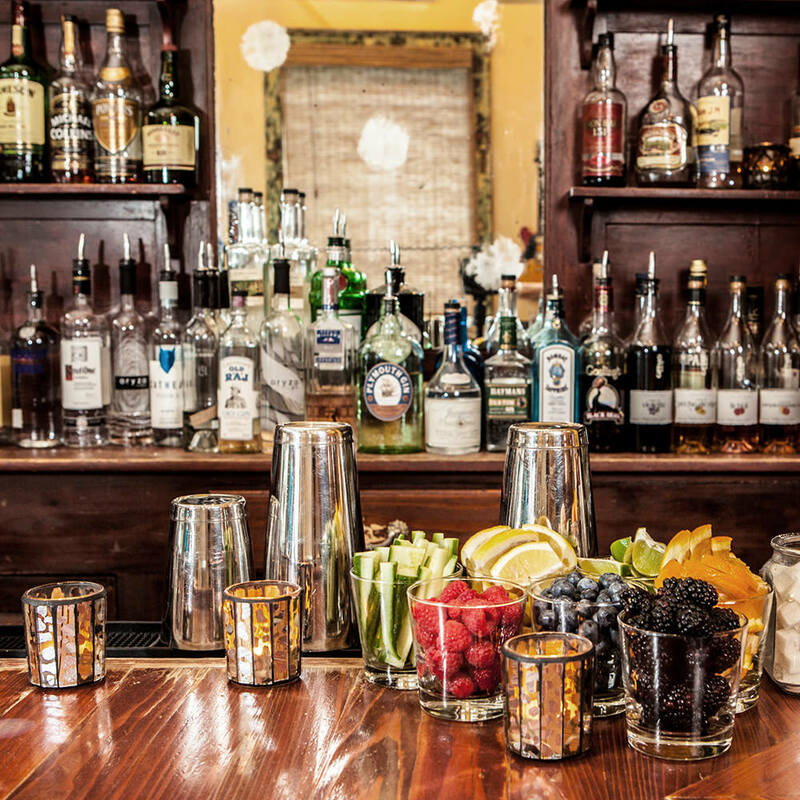 It’s a fairly raucous affair and it’s here you’ll find the ever-popular Bloody Mary Bar. Before we had a liquor license, this “Vodka Salad Bar” was something we pioneered here in New Orleans as a way to make it interesting for you to bring your own booze. It’s a very NOLA way to start your morning. Our weekend live music line up is thoughtfully booked from the corp of NOLA’s finest musicians as well as the occasional surprise national act. Brunch tends to book up fast so reserve your table early or just come ready to pass a good time building that Bloody and listening to the band. Chris Lynch, a former Emeril’s chef de cuisine, has taken over the kitchen at Atchafalaya, and his menu makes this atmospheric Uptown bistro even more attractive. The execution of the food was a shade indelicate, but dishes, such as potkiller-steamed mussels and lamb meatball cous cous crowned in soothing cucumber raita, were too structurally sound to disappoint. There are herbs and flowers growing in beds and boxes outside of the restaurant’s entrance at the corner of Louisiana and Laurel. It’s a cultivated look that’s duplicated by the view when you enter. There’s a sense of space that you get from the wall dividing the bar from the main dining room. The ceilings are as high as you’d expect in a New Orleans restaurant, and the wall between the rooms is made of mismatched window frames. It highlights the size of the room while keeping the scale intimate, if that makes sense. New Orleans Jazz music and brunch go hand-in-hand in the Big Easy, and Atchafalaya hits all the right notes with an indulgent New Orleans-style menu. 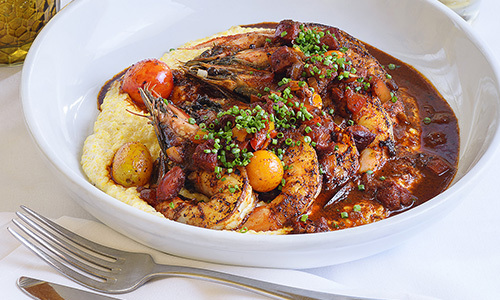 Executive chef Chris Lynch whips up shrimp and grits, duck hash, and a variety of egg dishes plated alongside local favorites such as popcorn crawfish and alligator sausage. While a line at Atchafalaya is likely, a teeming Bloody Mary bar and a lively, bustling atmosphere will keep things interesting during the wait for this authentic NOLA brunch. 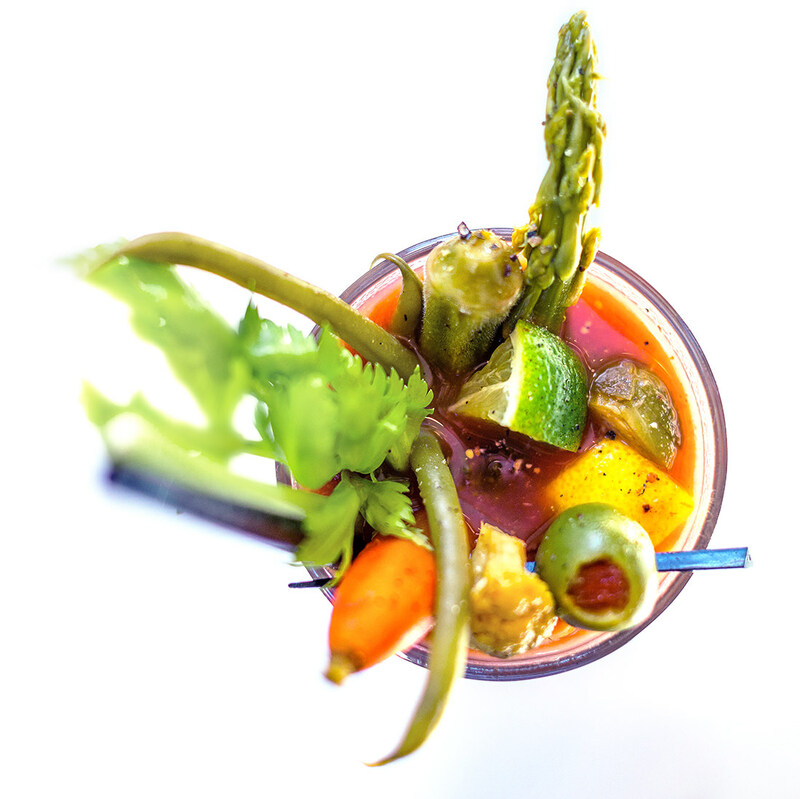 The local Bloody Mary bar trend likely originated at the restaurant, 901 Louisiana Ave., which started offering the bar during Sunday brunches more than four years ago, said Tony Tocco, who owns Atchafalaya with his wife. The idea sprang from desperation, Tocco said, as he struggled to attract and keep customers during a six-month battle to transition the restaurant’s liquor license from the former ownership to his. This is the restaurant where Fiona and Madison have brunch. It’s a gorgeous building with a fantastic reputation for New Orleans food. Try the Duck Hash or Eggs Treme. Oh, there’s also a Make-Your-Own Bloody Mary Bar. Since Lynch has come aboard he’s been gradually working more of his own style across the menu, and much of this is in synch with where things left off during the high point of Meson 923. Two good examples from the appetizer list are scallops ($16), with candied pumpkin seed brittle and vinaigrette imbued with foie gras, and the hamachi crudo ($16), a raw fish preparation lavishly dressed with beets, fried shallots and pistachio. That brunch is something to behold, as much for the scene under Atchafalaya’s roof as for anything that happens on the plate. It’s an exposition of poached eggs, crabmeat and hollandaise orchestrated for surging crowds, abetted by a self-serve bloody Mary bar and urged on by jazz and blues combos squeezed into the corner by the bar. To note, our kitchen is very small. As a result we are limited in our ability to accommodate large parties. Please call the restaurant during business hours to make arrangements. We thank you for your understanding on this. Sometimes things just taste better in groups of 8 or less. We happily serve Brunch and Dinner in the bar/lounge but just as with large parties, availability is based on our small kitchen’s ability to crank it out or meet the needs of the dining rooms…. The restaurant is now known as an establishment that embraces New Orleans’ culinary traditions while pushing boundaries. The introduction of live music, innovative food, and a smart cocktail menu begin yet another chapter for a building operated originally as a grocery, then a bar, and finally found its stride in New Orleans’ rich culinary landscape.